Welcome to one of Norfolk's best loved inns noted for its quiet rooms, country setting, fine wines & real ales and freshly prepared food using local produce. 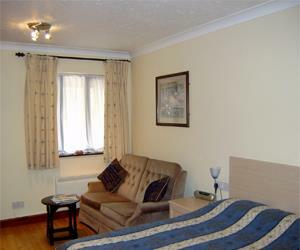 The Inn has 11 ground floor bedrooms, all are en-suite and tastefully decorated and fully furnished. All rooms are centrally heated and are equipped with TV, clock radio, tea and coffee making facilities, fridge and hairdryer. Some rooms are specially designed for families; cots are available upon request. The Inn offers bar dining or book a table in our separate restaurant. We can cater for private parties, meetings, training courses and wedding receptions. Enjoy an alfresco meal in our extensive garden comprising a large patio area, breeze house and lawn. Single occupancy is £58.95 per person per night, breakfast included. A double room can be booked for £93.50 per night, breakfast included. Special offers on room rates are often available. From Norwich ring road, follow signs to Norwich Airport. Travel north turning left past airport on to the B1149. Through Horsford and 2 miles north on the right. From Norwich - 10 miles By taxi.